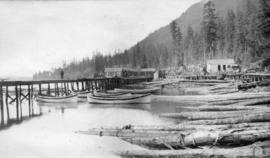 Henry O. Bell-Irving founded the Anglo-British Columbia Packing Company in 1890, though the capital behind the company predominantly came from British investors. The Company was headquartered in London, England. 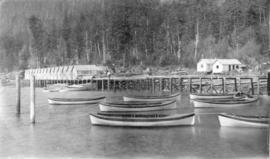 After acquiring a number of canneries in the 1890s, the Company produced slightly more than one-quarter of B.C. 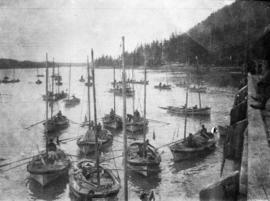 's total salmon pack by 1895. 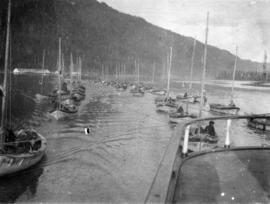 The Company was the first of two significant amalgamations in the salmon canning industry in British Columbia. 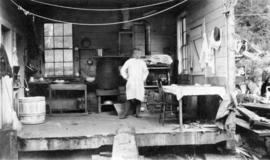 The second amalgamation, the formation of BC Packers (an American company registered in New Jersey) in 1902 came to dominate the canning industry and was a significant factor in ABC Packing’s decline in influence in the industry. 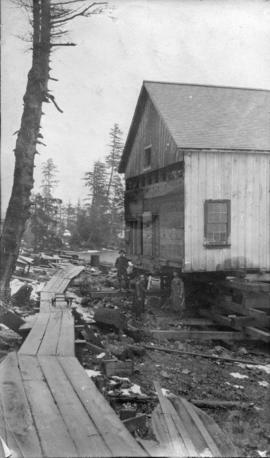 ABC Packing had an advisory board, made up of managers of operations, which met monthly during the season; it discussed cannery and fisheries operational matters, such as construction and renovation of cannery buildings, wages, price paid for fish, planning for pack in a year, consolidated procurement etc. At 1895, H. Bell-Irving was the Chair and the group met at the H. Bell-Irving Co. offices. 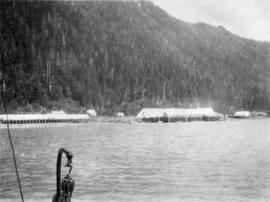 Annieville Cannery, acquired from British Columbia Packing Co.
British American Cannery, acquired from British American Packing Company. 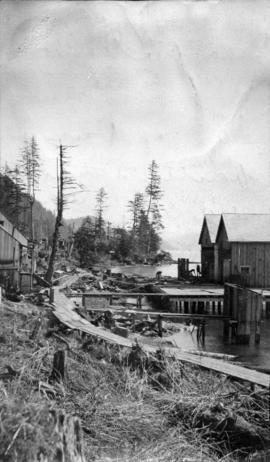 Canoe Pass Cannery, acquired from Drysdale & Co.
Wadhams Cannery, acquired from E.A. Wadhams. 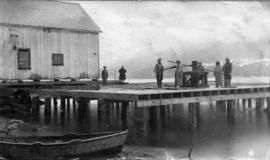 Phoenix Cannery, acquired from English & Co.
Garry Point Cannery, acquired from Hobson & Co.
Britannia Cannery, acquired from Duncan Batchelor et al. 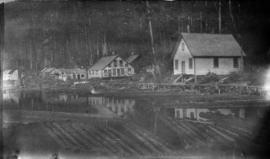 Arrandale Cannery (Portland Canal near the mouth of the Nass River), purchased from Wallace Fisheries in 1911. 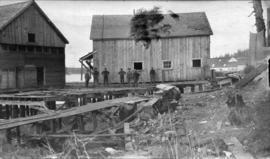 Port Nelson Cannery (Nass River) purchased from the Port Nelson Canning and Salting Company in 1910. 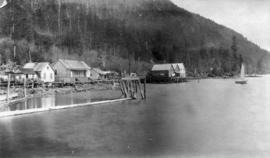 North Pacific Cannery (north shore of Inverness Passage, Skeena River) purchased by H.O. 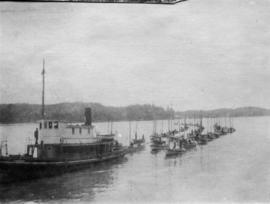 Bell-Irving in 1891, then sold on to ABC Packing in 1892. 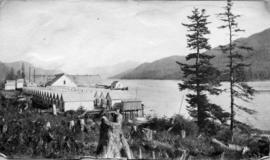 British American Cannery (Port Essington, at confluence of Ecstall and Skeena rivers) purchased by H.O. Bell-Irving in 1891, then sold on to ABC Packers in 1894. 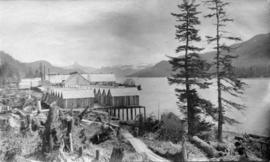 The company built the Good Hope Cannery in Rivers Inlet in 1894. 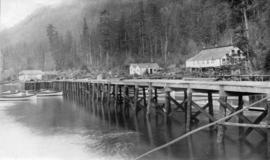 The company also leased another cannery at Port Essington, which had been previously operated as the Skeena River Commercial Cannery, after the British American Cannery plant burnt down in 1923. 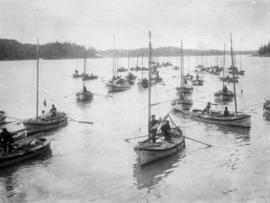 Local oversight of the company's operations in British Columbia, as well as selling agent responsibilities were contracted with H.O. Bell-Irving and Company, the firm that grew out of Henry Bell-Irving's trading and investment firm, Bell-Irving and Patterson, established ca. 1889 in partnership with R.H. Paterson. 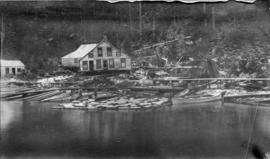 In 1895, the Anglo-British Columbia Packing Company established the Fidalgo Island Packing Company, which remained a subsidiary until 1964, when it was sold. After Henry Bell-Irving's death in 1931, local management of the Company's operations passed to Bell-Irving's son Richard and Peter Traill, both former directors. In 1966, the company expanded its operations expanded its operations, building a herring reduction plant in Caraquet, New Brunswick. 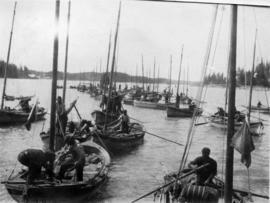 The Company left the British Columbia salmon cannery business in 1969, selling their cannery operations. A much-reduced Company continued until 1974, operating the herring reduction plant. At that time the company was wound up entirely. 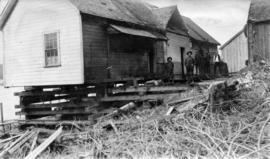 The fonds consists of business records from the Anglo-British Columbia Packing Company and its American subsidiaries. 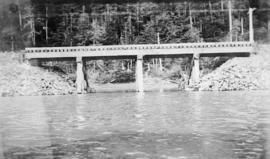 Most of the records span the time 1891 to 1968. The majority of the records from the ABC Packing Company fall into three series: annual records, Advisory Board minutes and legal records. 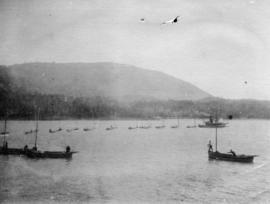 The records of the Fidalgo Island Packing Company are represented by three minute books covering the period from 1895 to 1964. 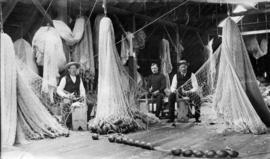 There is also one bound minute book which documents five U.S. fishing companies which were owned by the Fidalgo Island Packing Company from 1910 to 1927. Donated by Ian Malcolm Bell-Irving in 1984, 1986 and 1996. 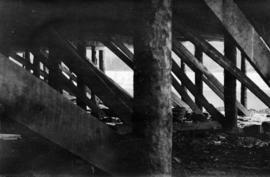 Photographs in this fonds have been assigned catalogue numbers with the prefix CVA 783. Some of the records in this fonds were previously assigned AM935. All records in this fonds are to be cited as AM870.